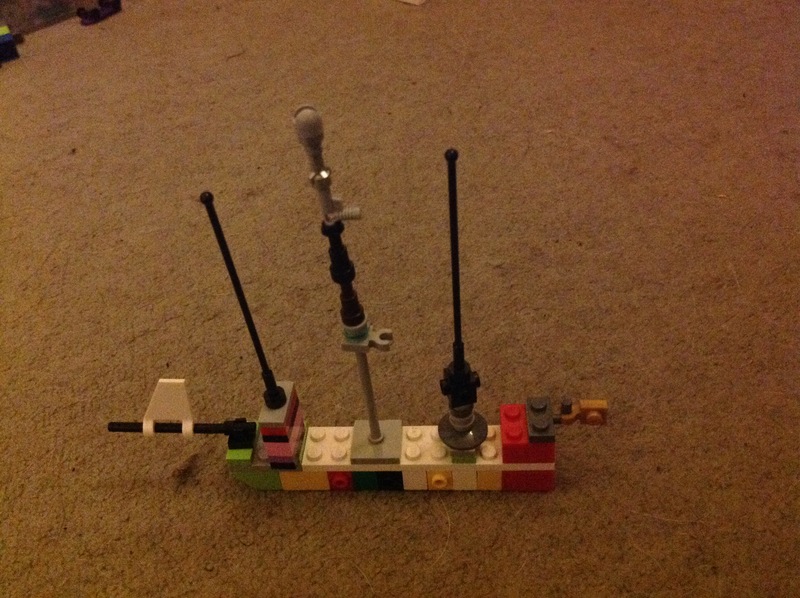 Last week, Boy discovered to his amazement that there was, somewhere on the face of this earth a Pirate Beastie. He’s blue. And He’s a pirate. He has a wooden leg and a parrot on his shoulder, and he has a skull and cross bones on his pirate hat. Boy couldn’t believe it! Boy decided right there that He should adopt him. 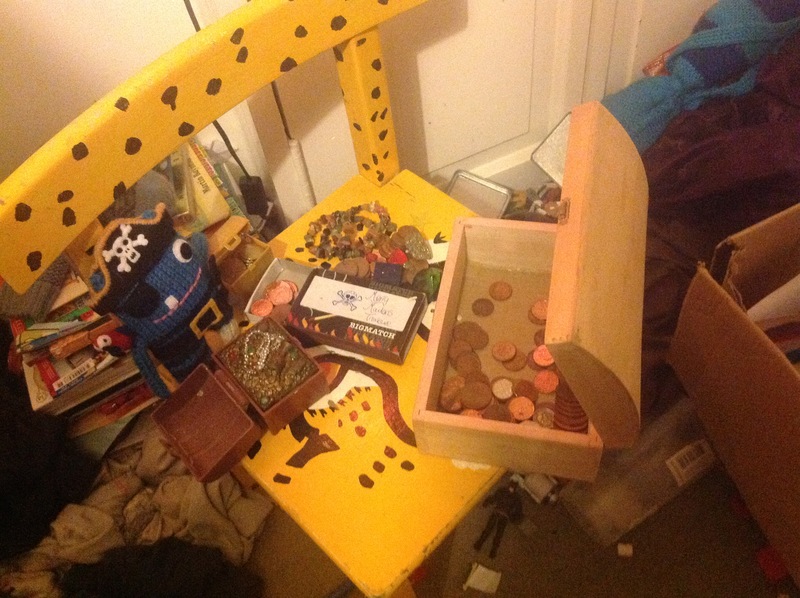 So he gathered all his money from his various treasure chests and kitties. And we bought him, HERE! Boy wanted to know everything about his new friend, so a quick google search revealed a bit more about his background and more importantly, we got to have a glimpse at his SHIP! Then Boy showed Pirate Beastie around the house (that didn’t take long, our house is rather small…), and most importantly, to Boy’s Head Quarters… where I could hear Boy warning whoever was in there that Pirate Beastie had a sword so they should all watch out! I can hear as I’m typing that Pirate Beastie is now raiding everyone in there and stealing their loot. He looks so cool! you should see his peg leg and his little parrot! He is gorgeous! Looks like a fun pirate friend! Oh WOWEEEEEE! Thank you so much for posting this! 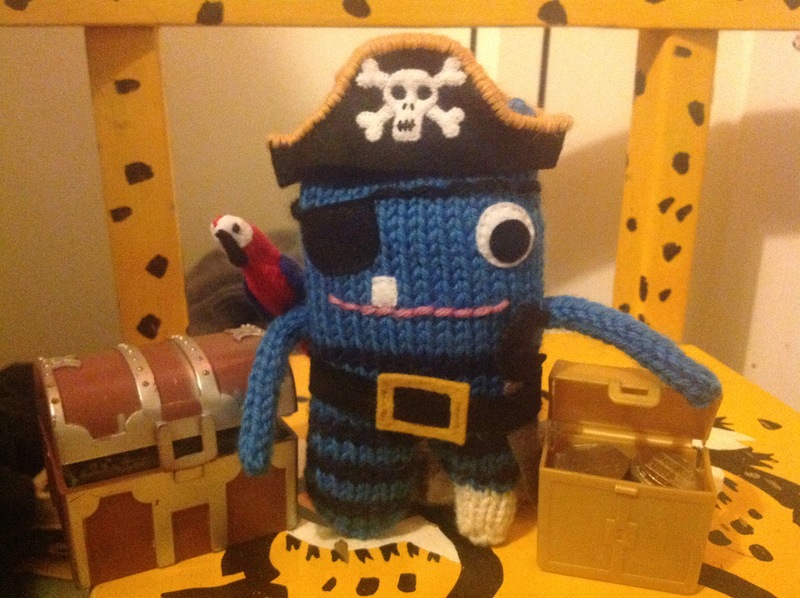 I’m glad James the Pirate Beastie arrived safely, and I loved watching Boy’s reaction video! 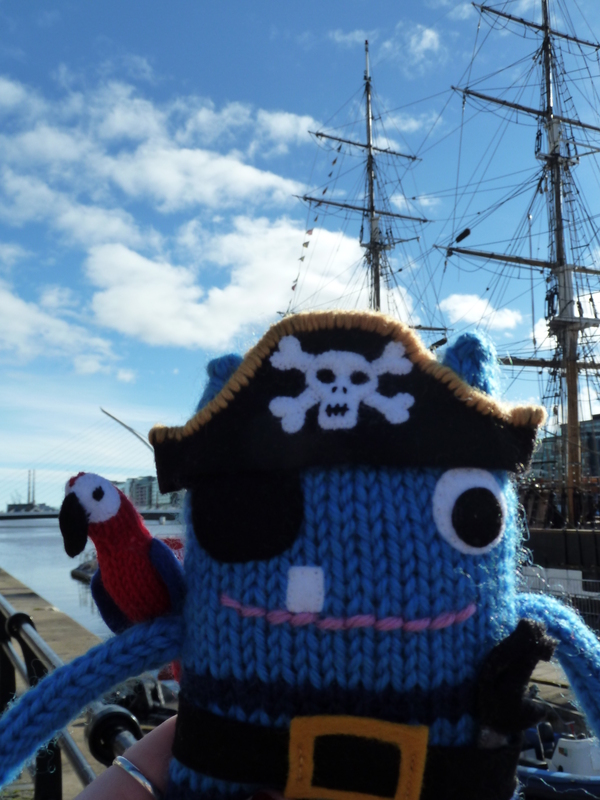 He’s really landed on his feet, and I can’t believe he had his own hand-built pirate ship already… He’s one lucky Beastie 😀 Hope you’re having lots more pirate fun today! Thank YOU so much! for creating such lovely Beasties and for crafting our parcel with so much care! the postcard looks gorgeous! and the lovely note, and the delicate wrapping of the Beastie as a beautiful pressie, and the lovely label on Pirate Beastie, and the yummy treats! you put so much care in every single detail! Last night Boy was looking at his Beastie for the 56 000 000th time and he commented out loud: “wow this lady who makes the Beasties, she is very good at knitting and sewing! !” and you prepared the parcel very thoughtfully! it was just perfect! you deserve a big round of applause and a big shout out! I wish I had a football crowd at my disposal, I’ll get them to make big loud rounds of Ola and Cheers! :) Thank you so very much!! you made Boy (and me!!) very happy! … Ooops, that went early! Clearly I haven’t the same skills as Gnome, and I have eyes to see with! Surely the two of them are bound to find a good haul of treasure soon with such powers at their disposal? Happy snapping, and you’re welcome to post your pics on the Beasties’ Facebook page, or send them to me and I’ll make them into a blog post! Hahaha! I can’t argue with that logic! 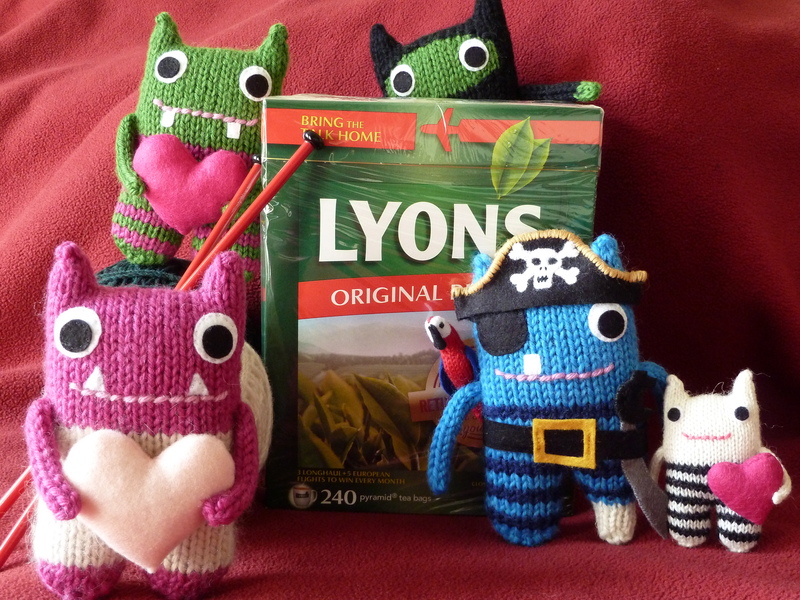 Thank you very much, look out for (slightly familiar) Pirate Beastie antics coming your way soon! Your post is just as cute as that pirate! My boys went through a very intense pirate phase a few years back (they still play pirates now but just not all the time) and they had to have loot and booty to raid and collect. People at jumble sales, car boot sales and flea markets were very pleased to meet my kids as they would scoop up all the blingy costume jewellery for use as pirate treasure. Most of it was given to them for free too so they were actually wee pirates themselves. I occasionally had to repel them from my boxes of jewellery when their piracy got out of hand. I hope Boy and his Pirate Beastie are learning some sea shanties. That sounds like a marvellous trip. I do hope you blog about it and that your son finds some rubies in the cave.